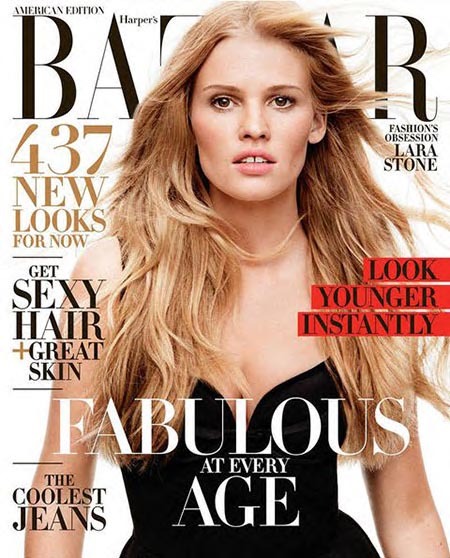 by Harper's Bazaar, Specializing in Facial Plastic Surgery. They note only 24 Best Plastic Surgeons across the USA that are on the Cutting Edge. Dr Andrew Jacono is widely regarded as one of the best facelift and rhinoplasty surgeons in America. Dr. Jacono is an expert rhinoplasty surgeon located in New York. Learn more about rhinoplasty procedures to see why Dr. Jacono is one of the best rhinoplasty surgeons. Specializing in facelift, eye lift, rhinoplasty and revision rhinoplasty surgery. Dr. Jacono also performs corrective cosmetic surgery and facial reconstructive surgery. As one of the Best Facial Plastic Surgeons in New York City specializing in cosmetic facelift surgery, rhinoplasty and eyelid lifts, Dr. Jacono was voted by New York Magazine Best Plastic Surgeon. Watch as Dr. Jacono helps put back together the lives of domestic violence victims on the OPRAH WINFREY NETWORK reality drama series FACING TRAUMA. Nationally renowned Facial Plastic Surgeon Dr. Andrew Jacono was featured on ABC's Good Morning America with Robin Roberts and his patients. He discussed the latest trends in plastic surgery, his new book, and how to choose a qualified Facial Plastic Surgeon. As a Leader in the field of Plastic Surgery, Dr. Jacono was featured in USA Today to discuss the National Statistics on Plastic Surgery. Several of his patients were featured in the story. Doctor Jacono was featured in Cosmopolitan UK for his cutting edge endoscopic face lifting surgery for which patients fly in from Europe on a weekly basis. As a national expert in Facial Plastic Surgery Doctor Jacono was featured on Anderson Cooper's show "Anderson" to discuss how to correct bad plastic surgery. Dr. Jacono was featured in Newsweek with several of his patients in a story on the growing trend of couples’ plastic surgery. We are committed to providing our patients with the utmost in care and the most cutting-edge techniques; whether it be changing your appearance through plastic surgical procedures such as rhinoplasty in New York (commonly referred to as a nose job), lip augmentation French Lips™, chin/cheek augmentation or ear pinning, or restoring a youthful appearance through facial rejuvenation procedures such as mini-facelifts, weekend facelifts or multi-planar facelifts, endoscopic (minimal incision) brow lifts, midface lifts, laser skin resurfacing, European skin peels, blepharoplasty (the eye lid tuck or lift), or liposuction. Many surgical procedures can be performed under local without general anesthesia. Dr. Jacono uses digital photography, 2D and 3D Vectra Computer Imaging software during your consultation to simulate the changes in your face that you can expect after plastic surgery. Research has shown that the best surgical results are achieved when the surgical plan includes nutritional supplementation as well as skin care before and after surgery. We provide our patients with vitamin supplementation and homeopathic therapies to maximize healing. This site has many examples of plastic surgery before and after photos. If you are considering facial plastic surgery this website should provide information about today's most updated minimally invasive plastic and laser surgery. For those seeking non-surgical treatments, J SPA Medical Day Spa offers Laser Skin Resurfacing, Ultherapy™, Fraxel, Chemical Peels, Juvederm™, Restylane™, Perlane™, Radiesse™, Sculptra™ and BOTOX™ to minimize wrinkles and the signs of aging. Dr. Jacono is an expert injector and a member of the National Education Faculty of the Botox Cosmetic Physician Network. We also provide in-depth skin care, and offer a variety of advanced skin care regimens to provide maximum results. Please visit our skin care page for more information. We have tried to answer the most common questions about facial cosmetic and plastic surgery and skin care, but you probably will have many unanswered questions, and may not know what procedures are right for you. If you still have questions, feel free to email or call our office, or consider scheduling a comprehensive consultation.